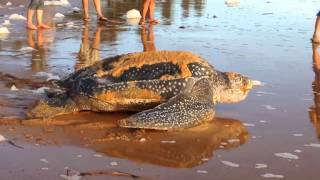 N 4° 55' 59" and W -52° 19' 59"
Cayenne in Guyane (Guyane) with it's 61,550 inhabitants is located in French Guiana. It's the capital of this country. 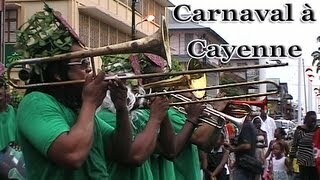 Local time in Cayenne is now 06:15 PM (Monday). The local timezone is named America / Cayenne with an UTC offset of -3 hours. We know of 8 airports in the wider vicinity of Cayenne. The closest airport in French Guiana is Cayenne-Rochambeau Airport in a distance of 8 mi (or 13 km), South. Besides the airports, there are other travel options available (check left side). Depending on your travel schedule, you might want to pay a visit to some of the following locations: Remire, Matoury, Tonate, Roura and Kourou. To further explore this place, just scroll down and browse the available info. Let's start with some photos from the area. Cérémonie de levée des corps au 9e RIMA, Cayenne, le 2 Juillet 2012. 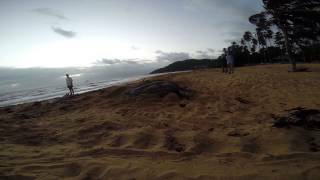 Tortue Luth 10.06.14 - Cayenne - French Guiana Leatherback sea turtle. 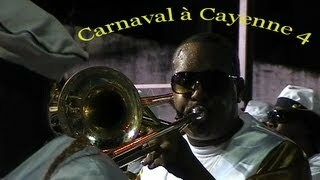 Le Mirza Roller Club participe au Mardi Gras du Carnaval de Cayenne le 4 mars 2014. Le thème du Mardi Gras est "Les Diables Rouges", tout le monde en rouge et noir. 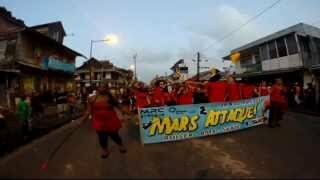 Dimanche 02 Mars A retrouver sur LaGuyane.fr. Parade de Cayenne du 10/02/13 Emission Vaval Première du 11/02/13. 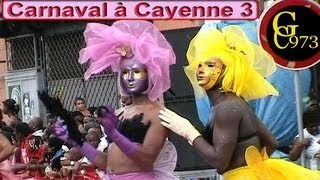 Compil avec images du carnaval à Cayenne et Kourou. 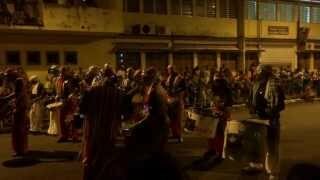 2009 - 2010 Groupes Kouman, Kassialata, Kalaijrou, Ijakata, Bwa Kanon, OS BAND, Manaré, Alinga, Piraye, Safari, PITIT' A NEG. 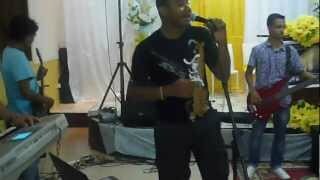 O Grupo de Louvor da IEQ-Cayenne mandando ver com a Musica do Thalles-Quando essa Igreja Ora!!! Vamos cantar, com: Neemias, Aimée.. Tocando, Sergio, Daniel, Sostenes, Adam e Thiago! Located at 4.91667, -52.3167 (Lat. / Lng. ), about 2 miles away. Located at 4.93249, -52.3118 (Lat. / Lng. ), about 1 miles away. 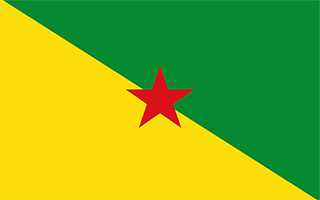 Tonnégrande is a town in French Guiana. It is part of the commune of Montsinéry-Tonnégrande. Located at 4.83111, -52.4439 (Lat. / Lng. ), about 10 miles away. Located at 4.93972, -52.3317 (Lat. / Lng. ), about 0 miles away. Located at 5.012, -52.4763 (Lat. / Lng. ), about 11 miles away. Stade Municipal is a multi-use stadium in Matoury, French Guiana. It is currently used mostly for football matches and serves as the home of US Matoury. The stadium holds 4,000 people. Located at 4.84624, -52.3298 (Lat. / Lng. ), about 6 miles away. Located at 4.94, -52.3314 (Lat. / Lng. ), about 0 miles away. Located at 4.85, -52.2667 (Lat. / Lng. ), about 7 miles away. Farnous is a small town in French Guiana. It has a population of about 886 people. Located at 4.95, -52.4167 (Lat. / Lng. ), about 6 miles away. The Jardin botanique de Cayenne (3 hectares) is a botanical garden located at the end of the Avenue Charles de Gaulle, adjacent to the university, in Cayenne, French Guiana. Although the Conseil Général de la Guyane states that the garden, formerly the Jardin du Roi (King's Garden), was established in 1879, there are earlier references to a botanical garden in Cayenne (e.g. Cosnard, 1828). It now contains a statue of politician Gaston Monnerville (1897-1991). Located at 4.939, -52.3203 (Lat. / Lng. ), about 1 miles away. Dégrad des Cannes is the main seaport for the French Overseas department of French Guiana, situated in the northern edge of South America and opening into the Caribbean. The seaport is located on the estuary of the Mahury River. Nearly all of French Guiana's imports and exports pass through this port. Built in 1969, it replaced the old harbor of Cayenne which was congested and couldn't cope with modern traffic. It also serves as the main base for the French Navy in the Caribbean. Located at 4.8546, -52.2745 (Lat. / Lng. ), about 7 miles away. These districts belong to Cayenne. These are districts that are close by, but belong to a different city than Cayenne. These are some bigger and more relevant cities in the wider vivinity of Cayenne.